A Red Letter Day – Congrats, Brad! 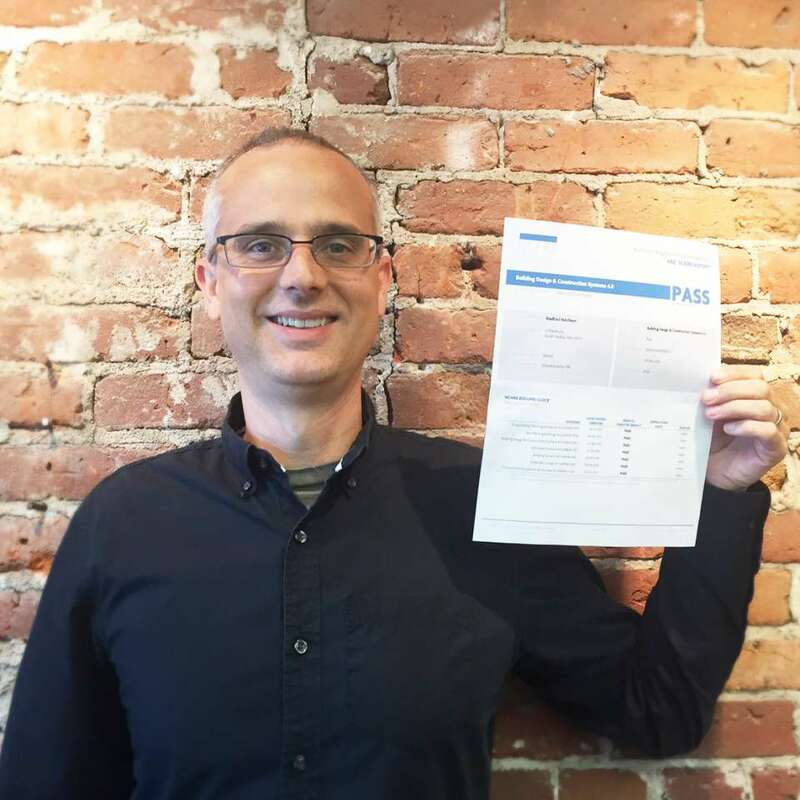 It’s always a red letter day when someone passes all their exams in the quest to become a licensed architect and today is that day for one of our fine people – Brad Hutchison. The exam has changed radically over the years. When I took the exam in 1977 it was a two-day exam taken in a large room with a bunch of other wannabe architects hunkered over desks spread around a large room at the Boston Architectural Center (BAC). You passed or failed in one shot. In addition to passing the exams interns have to have accumulated a certain number of hours working in an office under the supervision of an architect. The hours have to be spent in all the various facets of architectural practice and include time spent volunteering. Brad only has to log in a few more hours in the volunteer world and then he will be able to become a registered architect in the Commonwealth of Massachusetts. It’s a mighty feat and requires countless hours of study and stress. Brad is a graduate of the UMass Architecture program and has been with Kuhn Riddle since 2011 when he was a summer intern and then full time shortly after his graduation in 2012. He lives in South Hadley with his beautiful family – wife, Jennie and daughter, Juliet. And, more importantly, aside from his considerable architectural skills, he is an amazing and talented musician. So, today we salute Brad and his accomplishments and look forward to a stellar career.